Secret Golf's Steve Elkington and the cast recount how the group was formed creating Secret in the Dirt, the mentorship of Jackie Burke, and a tour of The Big Show. ANNOUNCER: On the first episode of "The Rural Golfer." STEVE ELKINGTON: We go to these little diamond in the rough places that no one's ever seen before, and dig out some of these characters that we all are. ANNOUNCER: Steve Elkington invites his team over to talk about their new venture. -So we got a golf site, we got a guy that pushes buttons, we got a guy that shoots the camera, and we got a guy that draws. ANNOUNCER: You'll meet the team, see how the whole thing got started, and learn about one of the greatest influences in Elk's life. -There's a swing in everybody. Everybody has a golf swing. ANNOUNCER: And why he, along with the great game of golf, inspired Elkington to search for the stories of everyday golfers. -I love to get around people that love golf. And the second thing is, it's going to have to be a character from a certain town, and what they do that makes it unique about that place. ANNOUNCER: Stay tuned as "The Rural Golfer" revs up and heads out in search of the secret. THEME SONG: One, two, three, fore! We've got The big Show revving, our eyes are on the map. Where we're going next, we just can't say. So grab your clubs, let's hit some balls. We're making friends, and playing golf. The Rural Golfer's coming your way. NARRATOR: Steve Elkington and Jackie Burke Jr have spent more than three decades enjoying golf together. It's a relationship built on a pure love of the game, as well as admiration and appreciation for its secrets. STEVE ELKINGTON: Jackie Burke was the first guy in church every Sunday morning. You know, he's a great dresser. He's a very, very quick witted and funny, great storyteller. And he just is probably the most passionate person about golf that I've ever seen. I mean, he lives and breathes that game. And there's not a day goes by that he doesn't mention his father. And he's 91 years old. What he learned from his dad, he said my dad would have-- this is what my dad taught me. And you should do it, too. NARRATOR: Jackie is the son of a club maker turned teaching professional. And he grew up surrounded by the best teachers and players in the game. As a result, his World Golf Hall of Fame career consists of 17 professional victories, including two major championships, the Vardon trophy for lowest scoring average, Player of the Year honors, six Ryder Cup appearances, and a Lifetime Achievement Award. INTERVIEWER: Why do you think you love golf so much? -I think timing and balance is in everything, and then the idea that you have to change and adjust, I think that's in just life. I mean, if a surgeon goes in to do that, and he finds something else, he's got to change like that. So golf's the same way. NARRATOR: Steve Elkington owns 20 world wide victories, including the 1995 PGA championship and two players championships. Now playing on the champions tour, he's spearheading this movement to help grow the game by giving the everyday golfer access to the best information available on how to play great golf. -There's so much clutter in the golf world now, with the coaching and these instant lessons, and all these things. But in our little world where we live with Jackie Burke and the real guts of the game, it's not-- it's not played that way. You have to learn golf at a certain level. And you have to know golf. He always says, you've got to know you're going to be great putter. He says, it's only going to be two things. We're only going to punt great, or we're going to punt miraculous today. That's how he went about it. -There's a swing in everybody. Everybody has a golf swing. Everybody can dance. I don't know about singing, but I know that in motion, everybody has it. But the teachers of today are teaching methods and things that you-- they've analyzed the game too much. The swing that you have in you is what a teacher has to get out. And then you can trust it, but you can't trust somebody else's ideas. You don't know if they work or not. STEVE ELKINGTON: Hey, Rural Golfer boys. NARRATOR: Inspired by Jackie Burke and united by the idea that something was missing in today's golf culture, an unlikely group of guys got together and decided to do something about it. Each with their own part to play. 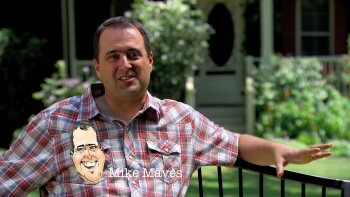 MIKE MAVES: My name's Mike Maves, M-A-V-E-S. Am I the catalyst or the virus? A bit of both. Well, it started with a fluke. It started with a guy walking into my insurance office asking me for a golf lesson. Next thing we know, we're filming it, putting it on YouTube-- you can-- you can do that without burying your club in the ground. And I was talking about something different that kind of caught on in a lot of ways. So it's both of those things. But Elk is actually the real catalyst. STEVE ELKINGTON: My name is Steve Elkington, E-L-K-I-N-G-T-O-N. You know, YouTube channel was going well. And a lot of you-- I saw it. This was the start of our site, this is where we said, you know what, we have to put this together. We have to talk about this because people have to know these things. And it's not a tip. This is reality. So I called him on the phone. You called him. 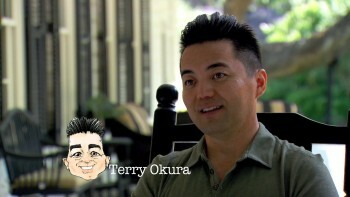 TERRY OKURA: Terry Okura, O-K-U-R-A. I basically film for our video vault. And Elk felt that it would be a good fit. STEVE ELKINGTON: He pretty much chronicled everything that I had done for years and years and years. Yeah, number 24, that's not my age. -Got your ears on two. -And I've had to learn how to put the films together, edit them, into something that our viewers could look at and learn from. -I remember talking to him on YouTube, and just offering suggestions about if you do email, newsletters, use this. If you host, use this. And he just said, why don't you just help me put this site up. 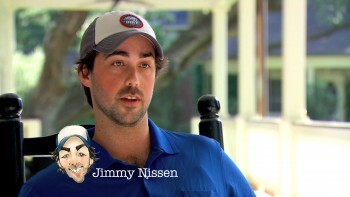 JIMMY NISSEN: Jimmy Nissen, N-I-S-S-E-N. I will be the guy pushing the buttons, as Elk says. I've been the customer support guy. I do all the product launches for the new things that we come out with, moderate the forum a little bit, just everything behind the scenes related to the Secret in the Dirt website. 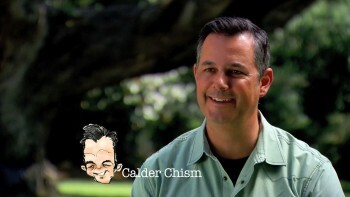 CALDER CHISM: Name is Calder Chism, C-H--I-S-M. Elk and I met 2006-ish through McCarron when you came to play in Reno. -And he introduced us. He told you what I did, and you said, well, I'm a cartoonist, too, mate. -My job is to draw cartoons as needed for the show intro, for the bumpers to sort of summarize what the show was about, whoever the special guest was, and pretty much anything else that crosses Elk's mind that he wants to see a cartoon for. STEVE ELKINGTON: So we got a golf site, we got a guy that pushes buttons, we got a guy that shoots the camera, and we got a guy that draws. So that was the genesis, right? -What else do you need? -Yeah, that sounds like a company. MIKE MAVES: It with a fluke. It started with a guy walking into my insurance office asking me for a golf lesson. I played golf a long time ago. I got good at it. And I got to play with some really great golfers, including Moe Norman. And I studied a bunch of guys. And then I sort of took a hiatus from golf to be a dad. And suddenly this guy walks into my insurance office and asked me if I'd help with his golf game. He's athletic but he sucked at golf, and he couldn't figure out why. And so he figured like because he's an athlete, he'd automatically be good at golf. So he comes in, he says, I heard you hit a golf ball pretty good. I'm like, I thought you were here for insurance. -You are just missing that boat out there. You hit every one over it. MIKE MAVES: Next thing we know we're hitting balls in his backyard into Lake Ontario, filming it, putting it on YouTube. And they were homespun. They were done in a backyard and a cheap camera, but the content of it resonated with people. -Do you weight shift your top on that? -By screwing down, so to speak, into that focal point, and a little bit into the heel, too. MIKE MAVES: So the video that sort of took the whole thing into another plane, or to another level, was a video on the move. And that video was about circular foot pressures, and how to use in particular foot pressure in the right foot, circular clock pressure that you set up at address. -Because my pivot point is right here. -And so the other stuff, even when you're standing straight up and hit it perfect. -Right under the ball of my foot. So my hips go forward. Whatever happens, my pivot point is right there. -The reason I was interested in Mike was because I'd always-- when I grew up watching Weiskopf and Nicklaus with their big keen dip, and I always had-- he got to his left side, still does easier than anyone I've ever seen. Right? And I thought maybe that that right foot move-- and it is, it's true and factual. And Hogan put an extra spike, and no one ever knows what Hogan, why he did it. -I mean who mails off to England to get an extra spike, a shoe with extra spikes? Ben Hogan did. Why? Because that spike was the focal point of his balance on his back swing. -Your explanation was totally believable, and it was factual when you demonstrated it perfectly. -Lift the toes in the shoes, OK? That makes you feel like your weight is between the ball of your foot and your heel. It's not just adding a spike, it's picking a very specific spot to put it in. And so I thought, I'm going to put my foot down and I'm going to think about the ball of the right foot. And I'm going to think about things turning around that. And that's what got me screwing my foot into the ground, was just that idea of Hogan's extra spike. You Johnny Miller it. STEVE ELKINGTON: I told Terry, I said, have you seen this video of the move, you know. And he said, no. So he looked at the video. I said, well, let's call this guy up because I like the way he talks about the way he's moving his feet, right? -Once he called, we started to work on the principles that I was talking about in the YouTube videos. And then we got to be friends. And suddenly we're business partners. STEVE ELKINGTON: We started putting videos up on the internet, and seeing if anyone would consume them. And we found out that not only do they consumer them, they loved them. STEVE ELKINGTON: Let me fan it off a little bit. - --where golf was taught more simply, people were giving messages to golfers that were more personal as opposed to technical. NARRATOR: The videos grew in popularity and in subject matter. 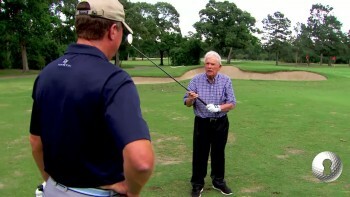 -You know that's a penalty stroke, did you know that? NARRATOR: Ranging from Elk's antics to valuable golf lessons. One of which, taught by the legendary Jackie Burke, became the hallmark of the entire project. CALDER CHISM: Back in the '40s, '50s, '60s, and the fans are all yelling, hey, Jackie, hey, Ben, what's the secret to a great golf swing? And they kind of roll their eyes and yell back, it's in the dirt. Go find it yourself. -It means what Jackie Burke says when he talked about it, which is it takes a lot of work to get good at something. So you really got to dig it out. -You've heard Hogan say that. You've heard him say that, haven't you? -Well, the reason he said the secret is in the dirt is because in a caddy yard there was no grass, and so you played off just dirt. And so that's how they learned to hit down so much on a ball. STEVE ELKINGTON: So the secret is in the dirt. -It is, for tomatoes or vegetables or whatever, fruit. STEVE ELKINGTON: All of that. -We wanted to sort of have this idea that people would find their own secret in the dirt, that they would go on their own personal journey in golf. -You can take it literal and say, it's in the dirt, which might be the case if you're hitting balls and, you know, you're trying to find that secret hitting balls on the range. But secret in the dirt is like in anything you doing in life, I think. It's within yourself that you have to find. -If you want to know the secret to being a better cartoonist, just keep grinding away at it. Keep going, and you will find something. TERRY OKURA: To me, it's like individual. And everybody's got their own individual secret in the dirt. NARRATOR: To find your own secret, sign up on www.ruralgolfer.com and you'll get the Secret in the Dirt ebook that started it all, absolutely free. -I think what was cool about the first perspective on the videos was, you know, normally golf video is an instruction piece and a pro sitting there talking to you. And ours, it was like we've got Steve Elkington here, or Jackie Burke here, and they're just talking golf. And it's like this fly on the wall perspective. You just-- you're kind of lucky to be around this conversation. STEVE ELKINGTON: 91. 91. That's pretty good. NARRATOR: Steve Elkington and Jackie Burke Jr met in 1982 while Steve attended the University of Houston on a golf scholarship. Their relationship has evolved from one of surrogate father to golf coach to mentor to friend. STEVE ELKINGTON: Champions club, which was founded by Jackie Burke and Jimmy Demaret, would invite the Cougars out to play against their members. And it was just a million miles from where I came from in Wagga Wagga, Australia, out in the middle of rural country where they grow wheat and sheep. There was so much to learn there. And of course, I wanted to be around those guys. You know? I wanted to be with them and learn more from them. That's the kind of guy I was. I've always learned myself from watching others. The worst thing you can have is, you're a golfer, is you have this fleeting game that just leaves you. It's everyone's fear. It's even the true players' fear, that they're going to go out tomorrow, they're tied for fourth in the tournament, and all of a sudden the game's gone. What do you do then? OK. Well, we got to have a shot that we got to be able to get in a fair way. He learned that from Hogan, he learned that from Demaret. It's always going back to the primitive start of what it's like to build this game to where you know what you got. Jackie Burke is the biggest database of all. And he's seen all these golfers do all these things, and he has a very quick way to cut right to the-- right to the problem. I don't think I could have done as well as I did on a tour without having Jackie Burke in my life, because I just rely on his advice so much. And I had that going off in my head that, when I got into contention or whatever, I knew how he was going to act, and he had told me how to act, and told me how to push through that. Jackie's like talking to a priest. He's like talking to a marine, a drill sergeant. He's like talking to a CEO of a major business company. Or he's like talking to your friend. And you don't always know which one's going to come out. The people that see our shows, that are going to watch out shows, are just going-- you know, they're just going to get to know Jackie Burke so well. And get to love Jackie like we have. And he's just going to be a great experience for them. Golf content. We've been shooting golf content now for three years. Our new goal is to go to these little diamond in the rough places that no one's ever seen before, and dig out some of these characters that we all are. The first part of it is, it's got to be the passion. I love to get around people that love golf. And the second thing is, it's going to have to be a character from a certain town. And what they do that makes it unique about that place. -There's a lot of gems out there and there's a lot of neat communities that swirl around these golf courses. And they're in places that people wouldn't expect. -There are a bunch of places like that here in the US. And we get to go around and capture the experiences of people who have that type of experience on a golf course. -It's a lot more interesting to me than technique and, you know, the finest courses on Earth, and how exclusive they are, and how hard they are to play. And, you know, that's more like name dropping to me. This is like everybody. -The rural golfer, to me, means just guys that are out there every day just loving it. -There's a lot more of us out there that just want to hear stories, and sort of be part of that camaraderie that brings people together through the game. -My team loves golf so much that we decided to do this show and sort of focus on other people that love it so much. Why do they-- why do they love it so much? I mean, that's what "The Rural Golfer" is, and really we're not trying to, you know, put a celebrity on TV in front of you. We're not trying to put the nice course in front of you. We're just-- we want to go to these places that unveil the love of the game and get right down to why they love it, and what lengths will they go to do it. -That was the one. That's the lesson I needed. Thanks very much, Steve. All right, you guys, go show off. -When you decided to play the Champions tour, one of the big things was, well, I'm not staying in hotels. -Hotels were out. The Big Show is an RV that I'd got from Will Smith, and he was using it as a recording studio when he did "Men in Black." And I got it, and turned it into a double decker golf wagon with a putting green, bar. And that's now ground zero for the show. As we go around the country presenting ourselves to people, and The Big Show gets pulled in. And we get the tent out the side. It consumes a big footprint. It's about 95 feet long by 50 feet wide now, with the tent. And we can have a good party there for 500, at any given minute. I'll play, but I'm not sleeping in the hotels anymore. I've got to have a wagon of some kind. The Big Show's 1200 square feet, so it's four times bigger than the biggest bus on the road, so I think it's going to be an integral part of the show. ANNOUNCER: On the next episode of "The Rural Golfer," Steve drops in on the town Alma. -I call it the best kept secret in the South, because we're sitting here in the middle of a bunch of people, and once people find the place, they like it. ANNOUNCER: A place where the people loved golf so much, they built their own course. -I mean it's something that you wouldn't imagine would have happened. ANNOUNCER: We meet some new characters, and get to know just how much golf means to this small town. RESIDENT: To see something this big survive and more or less thrive. It has been impressive. It gives the people of Alma somewhere to go and it's a little bit nicer. -I don't think there's anything more appropriate than sitting on a porch in Georgia, having an iced tea, after a game of golf, and staying in your lodge last night. -What could be better, right?